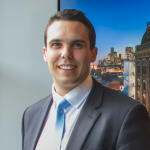 Patrick is a fully Licensed Estate Agent, REIV member, Director and Officer in Effective Control of Yorkshire Property. Excellence with his previous employer saw him manage every aspect of Real Estate services including Property Management, Owners Corporation and Sales. With over 10 years’ experience, Patrick then set up Yorkshire Property with an aim to provide the most in depth industry advice to his clients. Patrick Coy doesn’t currently have any sold properties on Homely.